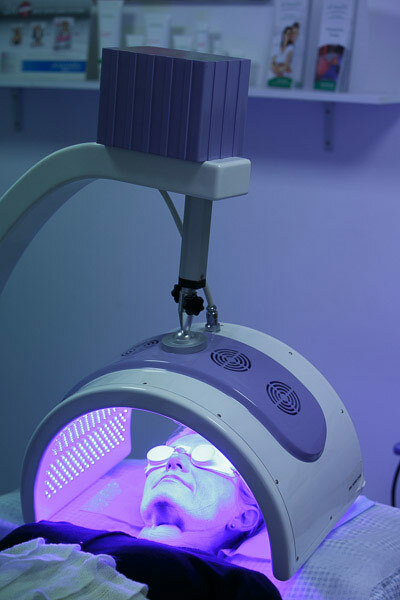 PDT treatment is activated by 20 minutes under the blue UV light and 10 minutes under the red UV light. PDT is a revolutionary non- invasive treatment for the removal of abnormal skin or damaged skin with a naturally occurring photosensitive chemical. The photosensitive chemical used in PDT is called PDT-ALA (aminolevulinic acid) and has been used world-wide to treat cancers, skin cancers and precancerous areas. There is minimal patient downtime and cosmesis is excellent. PDT is not a new treatment (see history of PDT below) but the process of PDT for treating damaged skin was refined in 1990 into a safe, efficacious and relatively pain free procedure without significant side effects. Photodynamic therapy (PDT) in conjunction with Allmedic™ supplies is available at Skin HQ to treat solar keratoses as well as treating some some signs of skin ageing. A registered nurse will attend to the analgesic needs of the patient throughout the 30 minute PDT treatment. The nurse will cool the skin while the red UV light activates the ALA cream which is treating the abnormal skin cells. Photodynamic therapy (PDT) is a remarkable, non-invasive treatment to repair sun damaged, blemished, or ageing skin with a naturally occurring photosensitive chemical, aminolevulinic acid (ALA) and two special UV light sources. 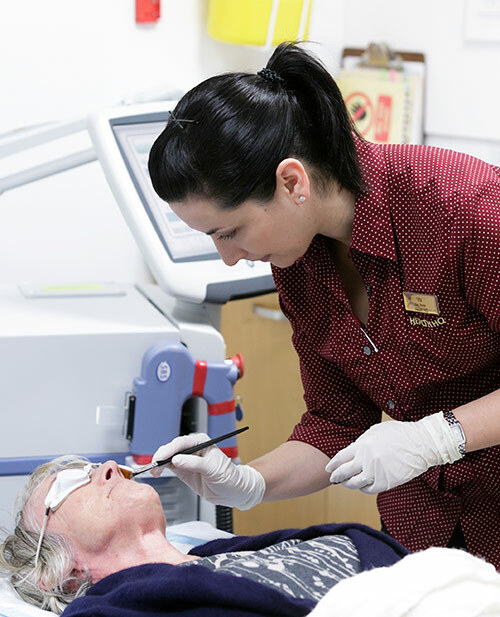 Many people on the Gold Coast from their mid-thirties onwards now suffer from premature skin ageing, largely due to sun damage from time in our harsh sun and other lifestyle factors. Skin HQ uses PDT treatment to treat skin ageing and sun damage. Which treatment modality will depend on the patient's skin type as well as other factors regarding patient suitability. All treatments can address premature ageing by evening out skin tone, treating brown pigment and fine blood vessels and subtly restructuring collagen within the skin. There are three main reasons why ALA(aminolevulinic acid) is able to identify, target and treat only precancerous cells. Once identified PDT then kills the [targeted] tumor cells by a mixture of necrosis and apoptosis, the blood supply is damaged and the host immune system activated. See below Part 2 - How PDT works . RN skillfully applies ALA cream as part of PDT treatment to treat pre-cancerous skin spots. PDT is a two treatment process with a 4 week interval between treatments. See more about a Skin HQ skin consultation including preparation and aftercare. Photodynamic skin treatments are only recommended for skin types 1-3, please see below for more contraindications (reasons why we may not be able to use PDT in your case). To prepare the skin for PDT treatment a specific skin care regime using medical-grade skin care products is prescribed to rejuvenate, rehydrate, and repair the skin for two weeks before the PDT treatment in the clinic. This two-week skin preparation also transforms nerve fibres in the skin to a less irritable state, minimising discomfort. On the day of the treatment, aminolevulinic acid (ALA) is applied to the skin (e.g., face, arms, scalp, etc.) where it gets absorbed preferentially into the damaged skin cells, leaving healthy skin cells alone. Then, the treatment area (e.g., face) is placed first under a blue then red LED light source for a proscribed period of time, during which the skin cells that have absorbed the ALA are selectively destroyed. After a short period of downtime during which the skin is healing, the new and healthy skin surfaces to reveal less damaged skin with fewer skin blemishes and better skin texture. After the PDT treatment, a soothing cream will be applied, which can also be purchased to apply in the next few days to help minimise discomfort. The skin is especially sensitive to any bright light for the first 48 hours, making it very important to avoid exposure to the sun and even indoor lighting. It is strongly recommended that you rest at home, away from direct sunlight and fluorescent lights for 48 hours after treatment. A specially-designed legionnaire’s hat is supplied free of charge as part of your procedure, to provide maximum protection for any procedure above the shoulders. Wearing long-sleeved shirts after treatment on the arms is also recommended. Long-term side effects from PDT are very uncommon, but in the days following the treatment, normal effects include tingling, burning, swelling, and tightness of the skin. A daily non-sedating antihistamine and regular over-the-counter pain relief will help you feel more comfortable. This well be discussed at your follow up visit 1 month after your PDT treatment and is dependant on your level of skin damage. A successful PDT treatment usually induces redness, peeling, and scabbing of the skin - the more peeling and scabbing you experience, the better end-result you will enjoy, although a minimal reaction does not mean the treatment will be unsuccessful. You will be booked for your follow-up (review) appointment at the clinic approximately 1 month after your PDT treatment and the doctor will discuss outcomes and recommendations for further treatment if needed at this appointment. Eventually, many sun damaged skin cells will be removed in part or in total. The skin should become tighter, and as a result some fine wrinkles will also disappear. Overall, you should look more refreshed, and many people feel they look younger. PDT is not suitable for persons who suffer from the enzyme abnormality called Porphyria. It is also not recommended if you have a non-responsive tumour or Systemic Lupus Erythematosus. Also if you are being treated using the following drugs and have certain darker skin types, see below. PDT is not recommended for asian, latin, or african skin types which according to the following chart includes skin types 4, 5 and 6. 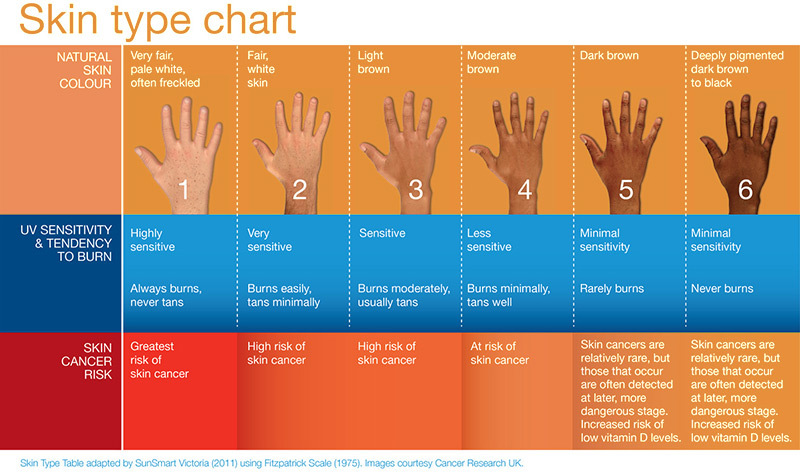 Skin type chart (above) retrieved March 2014 from Sunsmart website. Other contraindications exist and the registered nurse will screen for these at the initial consultation. The modern PDT process was reintroduced in the late 20th century and has become a safe and effective procedure without significant side effects or extended downtime. PDT has been further improved with a new and exciting refinement developed by Australian doctors that makes this treatment easier and more affordable than ever before. 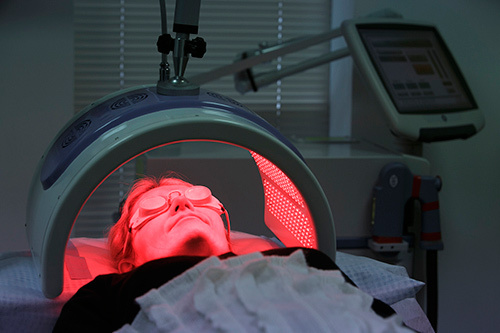 Patient is shown under red light which activates the photosensitive chemical. Field cancerization is a term that describes the presence of genetic abnormalities in tissue that has been chronically exposed to a carcinogen. With respect to the skin, the term field cancerization is used to define the presence of multiple non-melanoma skin cancer such as actinic keratoses and dysplastic keratinocytes in the sun exposed areas of the skin. Photodynamic therapy (PDT) with its selective sensitization and destruction of diseased tissue is one ideal form of therapy for this indication. In the case of PDT treatment - it is applying the skin sensitising agent that creates the reaction that kills premalignant/precancerous (sun damaged) skin cells, in most cases this is solar or actinic keratoses (sun spots) which some experts feel are skin cancers or at least evolving skin cancers. Suitable skin sensitising agents include ALA(aminolevulinic acid ), 5-FU (efudix ), Aldara, and 3% diclofenac (solaraze). Overall ALAhas much less downtime for the patient and the process is doctor/nurse controlled and generally more convenient for the patient. PDT using 5-ALA (20 % ALA - Allmedic ) is a strict treatment regime where for 2 weeks prior your skin must be prepared with cleanser, a skin hydrator/exfoliator and a moisturizer/sunscreen/antioxidant. Daniell, M.D. and Hill, J.S., A history of photodynamic therapy. Australian and New Zealand Journal of Surgery, 1991. 61: p. 340–348. See also an academic study of the possible use of PDT for Photocleavage with more details of the history of PDT (page 13). Braathen et al. ; Photodynamic therapy for skin field cancerization: an international consensus. International Society for Photodynamic Therapy in Dermatology. 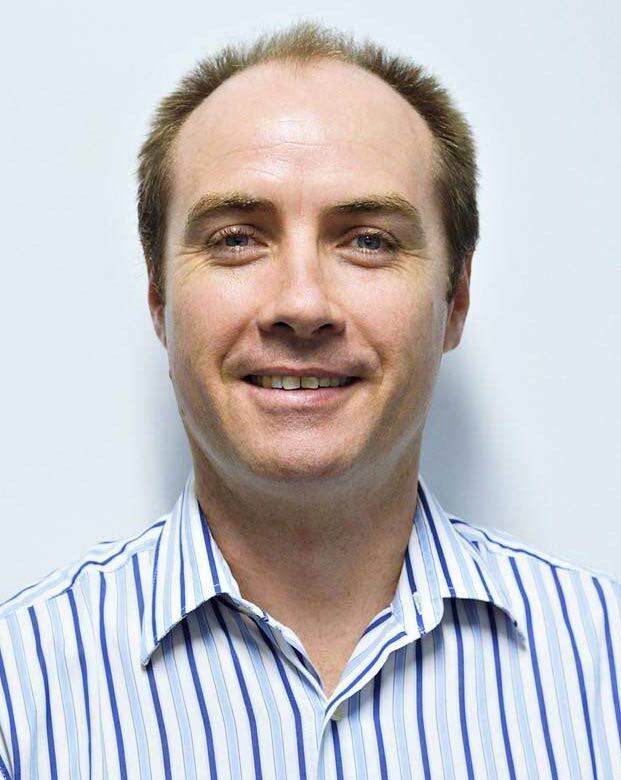 See Dr McClelland's professional profile. Click to make an online booking to see Dr McClelland. 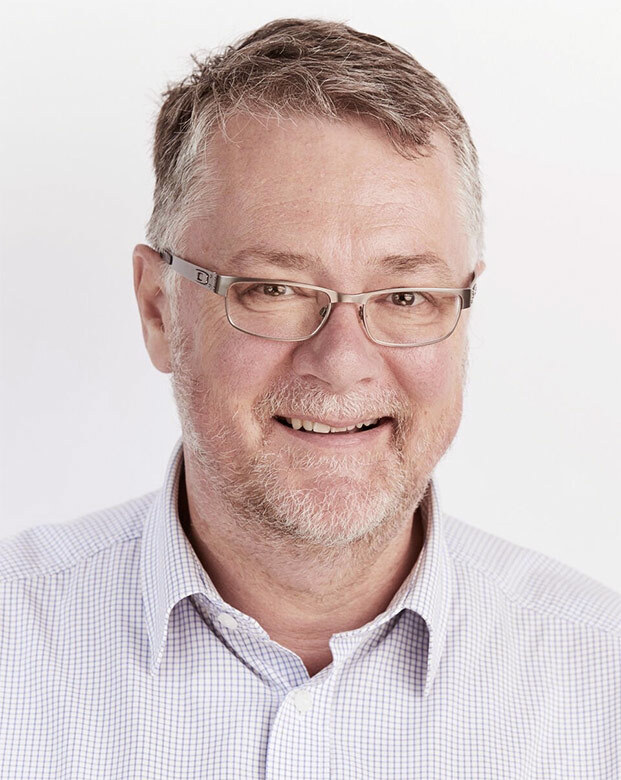 See Dr Halliwell's professional profile. Click to make an online booking to see Dr Halliwell.